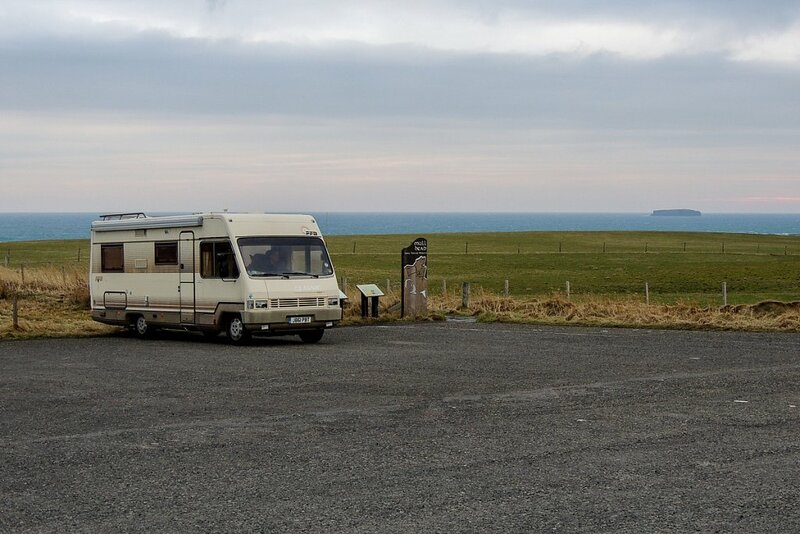 Situated to the Northern end of Deerness and accessed by a single track with passing places, the car park at the Mull Head Nature Reserve is amply sized and more or less completely level tarmac. The Visitor Centre is a short walk away and has good clean toilets, which are open 24/7/365. Rubbish and poo bins are on hand. This is fundamentally a cliff-top site. Although the car park is situated perhaps 500m from the cliff, there is nothing in the way. This is an exposed site and that wind may have a cutting edge. 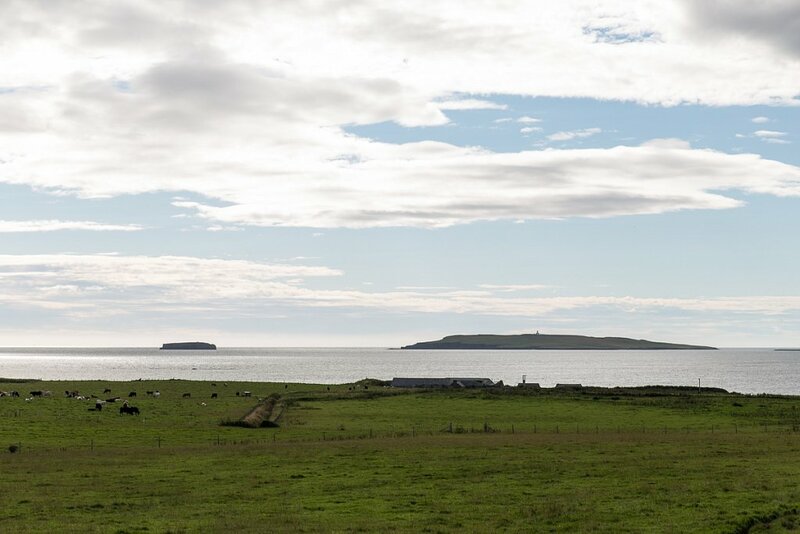 Mull Head is very popular and this is consequently a busy car park - vehicles will come and go at all times of the year. Safe for children and dogs but animals must be kept under control if you enter the reserve. 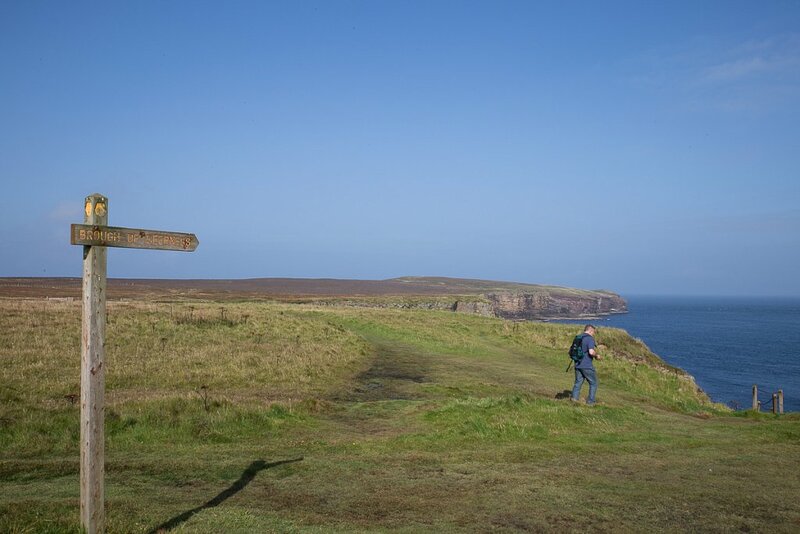 Walks from here include a short stroll to The Gloup (a collapsed sea cave) and one to the Brough of Deerness, with longer circular walks around the reserve and an extended walk to the Covenanter's Memorial. 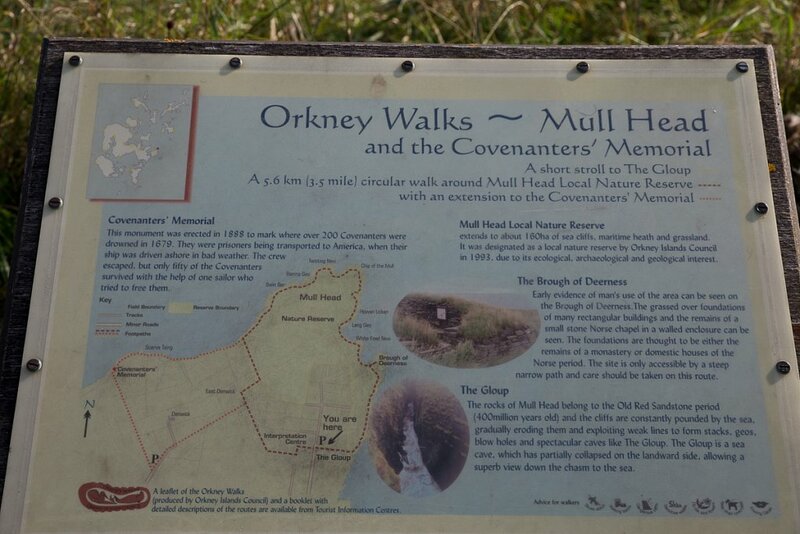 The walks are relatively easy going but the ground can be wet and boggy. 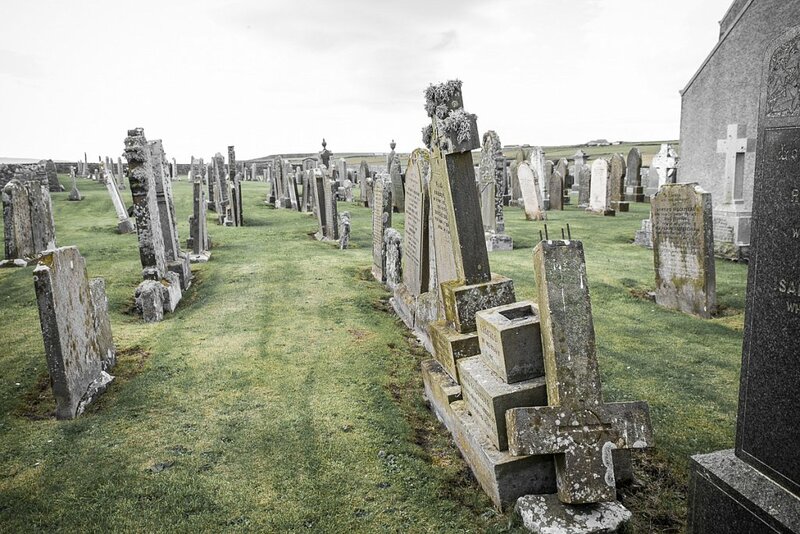 A pleasant walk along the road arrives at St Ninian's Kirk, where the kirkyard is well worth a prowl. Wonderful scenery, peace and quiet and no light pollution, should you fancy some star-gazing.